Fabra Kleen Laundry Sour is a liquid neutralizing rinse additive designed to adjust wash wheel pH in commercial and institutional laundry operations. Residual alkalinity is adjusted via a buffered acidic formula to prevent over-souring and potential fabric damage. 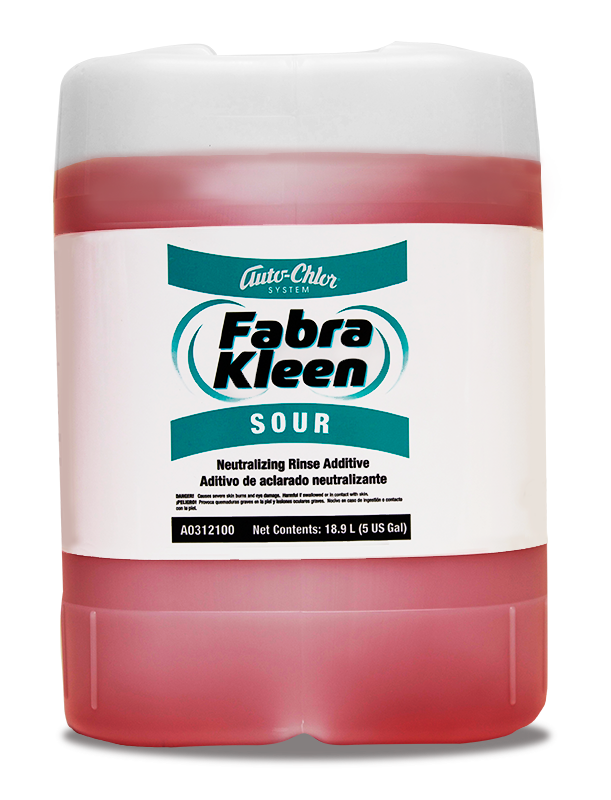 Fabra Kleen Laundry Sour eliminates rust and iron stains while controlling final fiber pH to improve ironing process efficiency. Optimum results are achieved when used in conjunction with Auto-Chlor’s System dispensing equipment, service programs and complementary wash products. When used as part of the complete program; increased laundry operation effciency and significantly reduced wash article rejects and re-washes will result.